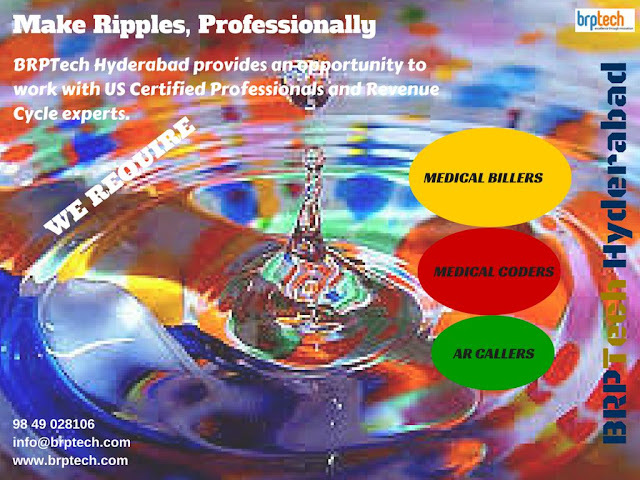 BRP Technologies, Hyderabad: Make Ripples, professionally. BRPTech Hyderabad provides an opportunity to work with US Certified Professionals and Revenue Cycle experts. We require Medical Billers, Medical Coders and AR Callers. All positions are immediate, and those who can join immediately need only apply.